Is it fall yet? Don’t get me wrong, I LOVE summer, but the humidity in Philadelphia has been excruciating this summer. I know, we’re only a couple of days into August and I’m officially counting down the days until fall is upon us. Anyone else with me? Like the seasons, fashion trends are always changing, and it sometimes can be challenging to keep up. But let’s be real, it’s never too early to start exploring what trends designers are forecasting for the upcoming seasons. Christian Dior, Tom Ford, Saint Laurent, Burberry, Versace, Alexander McQueen, Gucci, DVF, Michael Kors, Chanel, Valentino, Prada, Chloe, Calvin Klein oh my! The list goes on, and on. But fear not, my loyal readers! 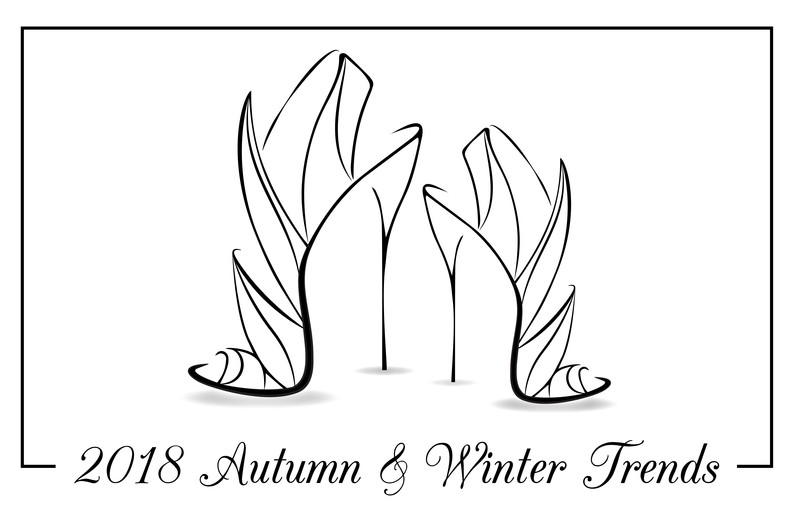 I have spent weeks studying lookbooks, reviewing runway footage and I’ve rounded up some of my favorite top trends to watch for the 2018 fall and winter season for your viewing pleasure. Are you ready? Anyone else feeling the jungle fever? We are headed to the jungle this fall and designers are daring you to be extra bold and wear this trend from head to toe…you in? Which animal print would you say is more your inner animal: zebra, tiger, or leopard? For me, it all depends on what article of clothing or accessory but overall, mine would have to zebra. I’ve seen pretty much every silhouette and article of clothing available in animal print. Share a photo if you are braving the full head to toe trend! Trying to brave the cold while looking fashionable is a thing of the past. Adding layers beyond layers was all over the runway. Why only wear one piece when it’s entirely fashionable to wear two, three or even four? It’s time to get extra cozy as oversized jackets are here to stay this season. Maybe the mother from Christmas Story was right! I remember back in grade school when I was a walking billboard for my favorite designers. Maybe I was very fashion forward and didn’t even know it yet. Now it’s reemerging in a big way! I noticed in Spring/Summer a few pieces hitting the stores and now more, and more are making an appearance. Whether it’s a basic t-shirt, outerwear, sweater, belt or even nail polish – fashion designers want you to show your alliance and wear it proud. Are you ready to be a walking billboard? Wonder Women to the rescue! Ditch the boring basic outwear style and update it with a romantic cape/poncho. This year designers are adding a little drama to their capes and ponchos with a variety of shapes and styles. Some to help brave the cold and others to add an extra layer of wow factor. This trend is always changing, but it’s here to stay! I noticed larger belts are accompanying this trend. Both are very easy to dress and super versatile; play around with both pieces until you figure out which one works best for you. Pretty much a fancy way of saying fanny-pack. However, I am not talking about the 90s style. Fashion designers are hard at work trying to bring this “icon” back into fashion in hopes to make it more desirable. Some days I do not want to carry around a big purse. I’ve recently seen celebrities wearing the belt bag across the body or right above the waist. More and more belt designers are hitting the stores. Would love to hear what you all think about this “new” trend. I feel faux fur has always been an ongoing trend, but this year fashion designers are leaning more towards vintage vibe. Their inspirations can found on coats, cuffs, and many accessories. Designer after designer is starting to eliminate fur from their collections and we all can thank Gucci for taking the lead. Yeehaw…cue the “I want to be a cowgirl baby!” Probably my least favorite trend but my research shows they are making this look seem very chic and feminine. Steel-toed boots, cowhide design, leather jackets/vest. Might take me some time to adopt this trend but happy to give it a try. I am sure you might be sick of seeing floral as a trend, but this is a trend that is always being rejuvenated every season. For fall/winter 2018, I noticed a more muted floral with black as the canvas of each design. Not only head to toe animal print but leather everything is also on trend. I love the dresses of all lengths and sleeve lengths, jumpsuits, skirts and more. Extremely versatile with a variety of pieces to mix and match your ensemble. I love me a fun muted leather dress – an easy way for me to channel my edgier-chic vibe. I am a lover of drama, with my outfits! Moreover, dramatic sleeves are starting to emerge: dresses, blouses, sweaters, outwear. You name it, and I am sure we can find a dramatic sleeve attached. I am seeing different patterns, lengths and textured throughout the different designers. I’ve seen color blocking quite a bit, but this season it’s all about the loud colors. Variety of vibrant colors to really pop this fall. I am looking forward to seeing how the designers spice up this trend with bright, bold colors. Slowly but surely, stores are changing their floors to start highlighting the upcoming fall and winter trends. I will continue to monitor all the trends and keep you updated with the latest and greatest. Check back regularly to stay in the know on where you can find these trends and the most fabulous deals. Which trend above is your favorite? Share below!